Pharmacy Technicians assist licensed pharmacists with the receipt, preparation, and dispensing of medication to patients. Their responsibilities include technical as well as administrative activities that ensure the smooth operation of the pharmacy. Pharmacy technician programs prepare adults with knowledge and experience to enter the field as competent professionals. Many programs will include a review class to prepare students for the Pharmacy Technician Certification Board (PTCB) exam to become Certified Pharmacy Technicians (CPhT). Technicians work in retail pharmacies, hospitals, retail chains, clinics, long-term care facilities, and other institutions. They check prescriptions for accuracy, calculate dosages, package and label medication, restock inventory, and update patient profiles. 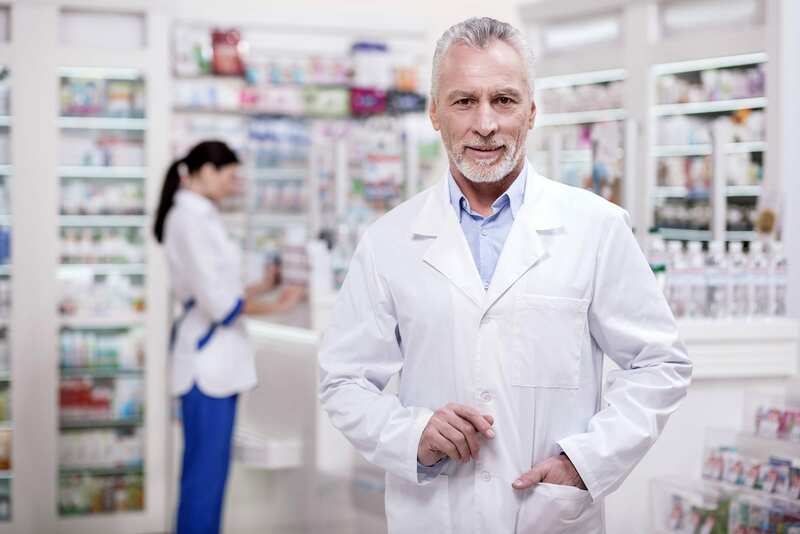 Administrative duties might include answering phones, ordering supplies, operating the cash register, and answering customer questions that do not require the clinical judgment of the pharmacist. Pharmacy technicians in Ohio must complete approved training the meet the requirements for certification. The demand for pharmacy technicians is projected to grow 12 percent in response to the availability of new drugs, the aging population, and a national shortage of licensed pharmacists. The nationally recognized Pharmacy Technician training program at Warren County Career Center gives students the skills and knowledge to qualify for entry-level positions in hospitals, community pharmacies, and other health care settings. Students will also be prepared for national certification as a Certified Pharmacy Technician (CPhT) from the Pharmacy Technician Certification Board. The curriculum covers 602 hours of classroom coursework and a pharmacy externship. Upon completion of the coursework, students will complete a minimum of 160 hours in an approved pharmacy. Career modules include CPR/BLS Healthcare Provider/First Aid, Sterile Compounding, Medical Math, Manual to Pharmacy Technician, RX Software, Medical Terminology I and II, Pharmacology, Cultural Diversity, Law and Ethics, Employability I and II, Certification Review, and Pharmacy Externship. Tuition for the program is $7,250 and include the application fee, textbooks, WorkKeys Assessment, FBI/BCI background check, one set of scrubs, and testing fee. Financial aid is available for eligible students. The pharmacy technician program at the Workforce Development Center of Cincinnati State is designed for adults who want to work in community pharmacies, hospitals, home infusion pharmacies, long-term care facilities, mail order pharmacies, insurance companies, clinics, and other health care settings. The curriculum covers 50 contact hours of coursework to prepare students for PTCB certification and entry-level employment. Course topics will include medical terminology, I.V. flow rates, defining drug by generic and brand names, reading and interpreting prescriptions, inventory control, dosage calculations, drug compounding, and billing and reimbursement. At the conclusion of the comprehensive training, students will understand the role of the pharmacy technician, pharmacy measures, abbreviations, and Roman numerals, IV solutions and how to calculate a 24-hour supply of medication. They will also know how to prepare prescription labels, transcribe orders, price products, prepare documents for reimbursement, differentiate generic drugs from brand name drugs, update patient profiles, calculate the numbers of doses required, and handle sterile products. Contact the Workforce Development for a current schedule and cost of attendance. Ross Medical Education Center’s pharmacy technician program comprises of 900 clock hours of classroom lectures and practical work. 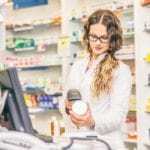 Students will learn how to function as entry-level assistants to a licensed pharmacist in retail and hospital settings, use pharmacy and medical terminology, abbreviations and symbols in the dispensing and documentation of medication, and the procurement of drug to maintain inventory levels in the pharmacy. They will under the duties and responsibilities of a pharmacy technician, the standards of law and ethics that guide practice, the differences between trade and generic names, routes of administration, dosages, calculations for determining dosages, the requirements for packaging and labeling medications, the chemical nature of drugs and their effect on the body, and the use the pharmacy software to keep accurate records. Course modules add up to 66.5 quarter credits and include Introduction to Pharmacy, Pharmacy Operations, Basic Principles and Concepts of Mathematics, Measurement Systems and Dosage Calculations, Medical Terminology for Pharmacy Technician, Pharmacy Law and Ethics, and General Pharmacy. Other modules include Pharmaceutical Agents for Human Physiological Systems, Community and Retail Pharmacies, Non-Sterile Compounding, Hospital and Health Systems Pharmacies, Sterile Compounding, and Pharmacy Externship. The pharmacy externship requires completion of 180 hours in a retail and hospital pharmacy. The duration of the program is 36 weeks for day and evening students. Tuition for the program is $14,600. Graduates of the pharmacy technician program at American National University will receive a Pharmacy Technician Diploma and will be eligible for entry-level employment in retail and non-retail pharmacies. The training includes theory and practical instruction to teach the basics of drug interactions, patient communication, and medical abbreviations. It will also include the fundamentals of anatomy and physiology, health care law and ethics, Microsoft Office, and hands-on practice in a real-world environment. Upon completion of the requirements, students will be prepared to sit for the PTCB exam to become a Certified Pharmacy Technician. They will also be able to practice in a professional and ethical manner, use effective written and oral communication, calculate dosages for safe dispensing of medications, perform clerical duties, use technology in dispensing medications, and medical terminology. Students must complete 48 credit hours to graduate from the program. Course modules are Medical Terminology, Dosage Calculations of Medications, Communication for the Healthcare Professional, Pharmacy Law and Ethics, Community Pharmacy Operation and Laboratory, Pharmacology I and II, Pharmacy Software Applications, Institutional Pharmacy Operation and Lab, Community Pharmacy Externship, Pharmacy Technician Exam Success, and Institutional Pharmacy Externship. Tuition for the program is $20,130. Books and supplies cost an additional $2,700.